Today we duplicated yesterday’s trek, but in reverse. We are heading back south today to Russell Pond CG Lean-to #1, adjacent to the canoe launch area. Greg, the senior ranger at Russell Pond yesterday, encouraged us to modify our plan of hiking over to the northeast corner of the park where we had booked a night at the Middle Fowler South tent site. Greg requested that we be at his cabin at 8 am, when he would be in radio communication with the Baxter Reservation Office. Greg was very helpful to us. We felt strong walking back today. We only encountered only 1 other person while hiking almost 10 miles today. He was a taciturn chap. We were overjoyed to see someone approaching, but his attire of torn pants, safety glasses, and a faded hunter orange vest was a bit off. He also failed to acknowledge our need to communicate. Vamoose! A very quick encounter! On the way back, I spotted a rare find, and took he opportunity to teach my clients about chaga. The fruit of a little labor. Chaga is sold online in whole chunks at great expense. I just looked it up on a popular alternative medical website for $55 per pound. The chaga mushroom is considered a medicinal mushroom in Russian and Eastern European folk medicine. In North America, Chaga is a parasite that is almost exclusively found on birches in the northeast. Chaga will ultimately kill the host tree, but the tree can survive for decades if not mistreated. When collecting the chaga, it is important to leave some behind as this will allow it to regrow. If the tree has multiple sites of chaga, leave at least one completely intact, and avoid harvesting small specimens, and stick to pieces roughly larger than a grapefruit in size. A diseased specimen tree. Adequate chaga is left on the tree. using a baton of deadwood to remove it from the host tree. For the remaining trip, we enjoyed chaga tea around our campfire each night. Small chunks are boiled and then simmered. The resulting tea is very dark, and tastes similar to black tea. The chunks can be reused several times before there is an apparent decline in the potency of the drink. Another unusual event happened on the way back through the overflowed section of trail caused by the beavers. I was first through and now have wet boots from skirting the orange blaze trail by walking over the top off the smaller beaver dam. Next came Gaspedal, who walked the flooded trail. He stopped to reach a couple of feet into the clear water to pull up a cell phone. It was in a case that had a UMO ID card in a pocket on the back. There had been a large group of Upward Bound students who slept in a tent site right next to us the first night we were here. They had come through the southbound trail from South Branch Pond Campground that same day, so chances are that the dead phone belonged to one of them. I turned it into the ranger, who was going to follow it up. 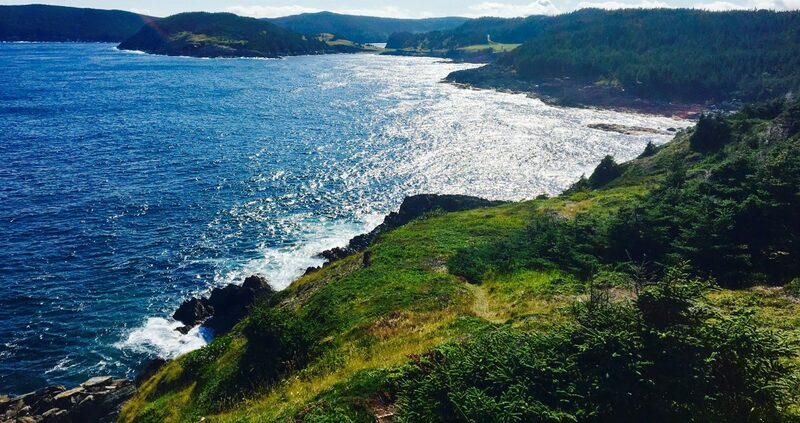 Hikers need to understand that there are more rules at Baxter than at other state parks. Understand that there are ramifications of Governor Baxter’s intentions that Baxter Park is primarily here to promote conservation of natural resources, as opposed to recreation. A couple of situations come to mind. I wanted to take a swim after our hike yesterday. There is no beach or swim area at Russell. The place I chose to go in the water was right off the end of the wooden dock at the canoe launch. Clearly, recreating took a back seat, when I slipped on one of the algae coated, football/-sized rocks that were piled under water at the end of the dock and fell onto my side into the dark wet. I came out with a bleeding foot. I’ll present a second consideration. I’ve camped at lean to #4 (“The Moose Inn”) numerous times since Will B. Wright was a ranger here at Russell in the late 1960’s. Notice how grown-in the trees and brush have become between the lean-to and the pond. 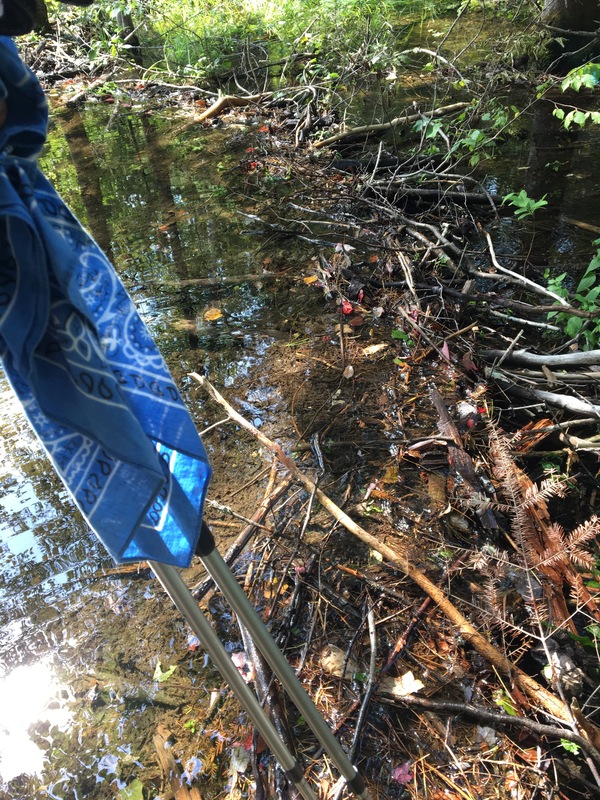 It is obvious that policies are in place in order to maintain the natural progression of shoreline vegetation instead of providing personal panoramas for the camper. Gaspedal pointed out that they practice what they preach here – even the ranger here has trees obstructing his view of the pond. While the practice of conservation is generally workable, and actually favored by most of us that enjoy coming here, one must at least question the practicality of rigorous adherence to it’s purpose. And as Gaspedal also pointed out, a thoughtful ranger is now unable to have a sight line from his cabin to view every point on the lake due to visual blockage by trees and shrubs. One’s risks are elevated at Baxter. That’s what we accept when we walk into the wilderness, and that is why I am here. We’ve walked 16.5 miles in the past two days over relatively flat terrain to reach Lean Two #12 a half- mile down the west side of Lower South Branch Pond by late afternoon. 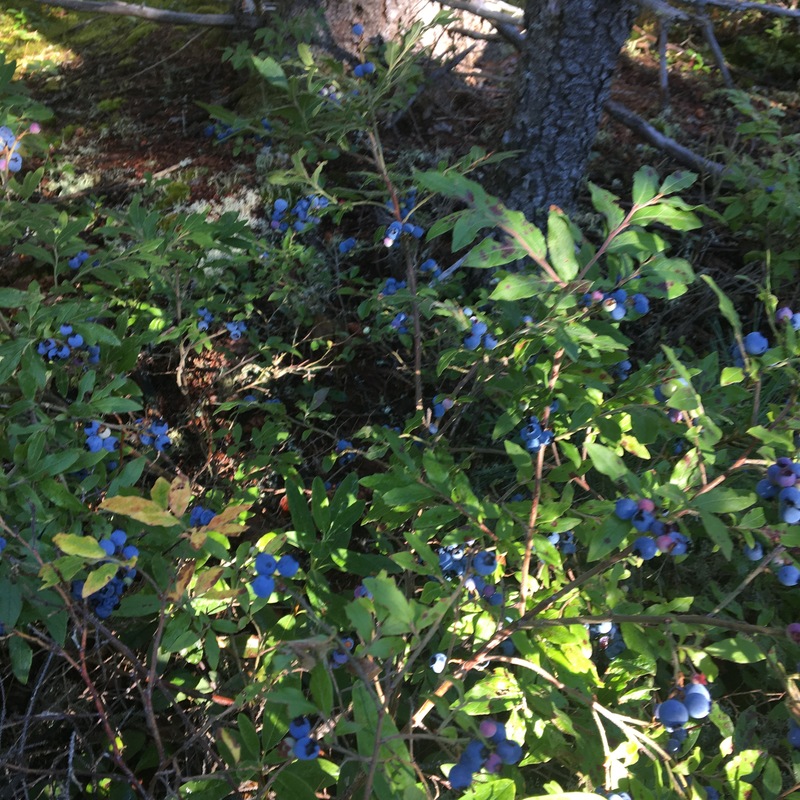 Right off the bat today, we hit a bonus – ripe wild Maine blueberries. There were some surprisingly thick bunches left on the low lying bushes along the trail. Who could pass these by? We stopped to graze for a while and took mental pictures in order to identify the stretch on our way back. We had to deal with a major flooding of the trail this morning by beaver flowage a mile past Pogy Pond on the Pogy Notch Trail. I bypassed taking my boots and socks off in favor of walking along the top of a smaller beaver dam upstream. While my boots got soaked, the water never went over the tops. I also find damp feet refreshing when it is warm out, where I appreciate the ventilation of this pair of footwear. Once back walking on higher ground, my feet dried in a couple of hours. Our lean-to tonight is an isolated walk-in site. It is far enough down shore of the main cluster of buildings at South Branch that we considered renting one of the canoes here to load firewood along with with our backpacks to get here. In the end, that seemed cumbersome. I left my money back in the car, the ranger was way from her cabin some were else here, and what’s a little more walking at the end of double digit miles? Once again, we took off our shoes and socks in order to ford a shallow stream that we needed to cross in order to reach our campsite for the night. I really enjoyed watching the evening sunlight illuminate the side of North Traveler ridge on the other side of the pond. The colors on the bare ledges intensified as the day dropped away. 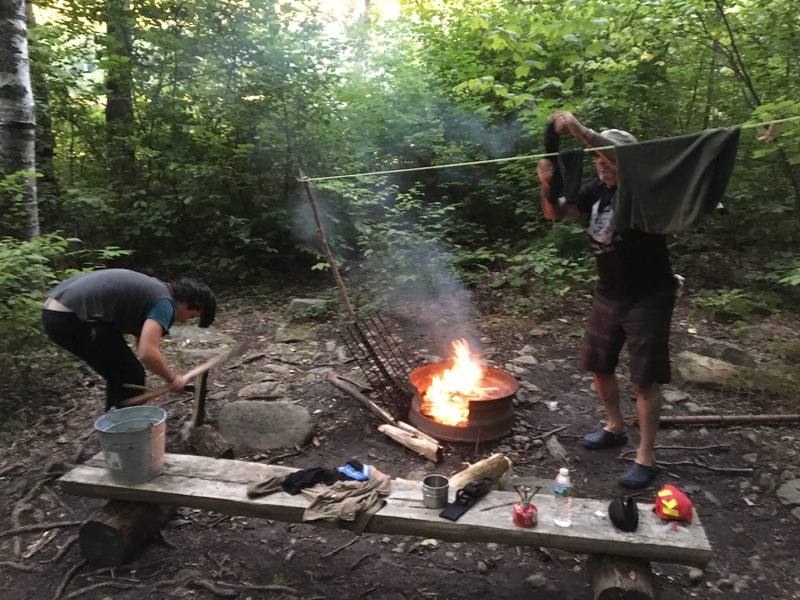 Meanwhile Gaspedal kindled a good evening campfire while Rockrabbit used one of his five knives to baton kindling and smaller diameter billets from big dry wood chunks that previous campers had left for us. The boys then rigged up a line to dry out socks and wet clothing so that they could start tomorrow off with comfort. Backpackers learn to cut down on pairs of socks, shirts, and any other clothing in order to save weight carried on our backs. One of the tricks that I use to dry damp clothing is to put it underneath my sleeping bag, on top of my sleeping mat, while I sleep. In the morning, the clothes are dry. On this trip I wear one and carry a pairs of socks, I have two shirts- the shirt I am wearing and a dry top to sleep in, and a pair of long zip-off-the-legs pants as a back up for cold. I pretty much live in shorts in the short Maine summer. There is something mammalian about avoiding going outdoor when it is raining sheets. I voiced this point to Gaspedal and Rokrabbit, while I was driving them through the rainstorm above Bangor on I-95 this morning. We’re on schedule for day one of a week in Baxter State Park. I would hike in this hard rain all day, if necessary, but my innermost core recoils from the image of my self at the end of a day of rain, especially when I am also run down from long miles of hiking through the woods. So I conjure up a whacky Plan B for today that would not require any hiking in this rain. We would get a motel room in Millinocket and wait it out. Tomorrow morning we would drive to the north Matagammon Gate and begin to dance around our reserved space camping itinerary. However, life would be much simpler if we just stuck with our original plan, which we did when we walked out of the Appalachian Trail Cafe and saw that the rain had stopped and the skies were starting to clear. We only encountered four other hikers today walking into Russell Pond from Roaring brook. The young woman of couple #1 said that the ford of Wassataquoik Stream was waist high. I could have told her that. Her long pants we’re still drenched as she spoke to us. We also met a couple of Maine women who we also headed to Russell Pond for the night. I’ve hiked the Russell Pond Trail at least a half dozen times over the years. A few things stood out today. #1- Wassataquoik Stream rises quickly after a strong rain of an inch and a half. The water was up to my waist during the ford. I have always experienced lower water levels coming through here. 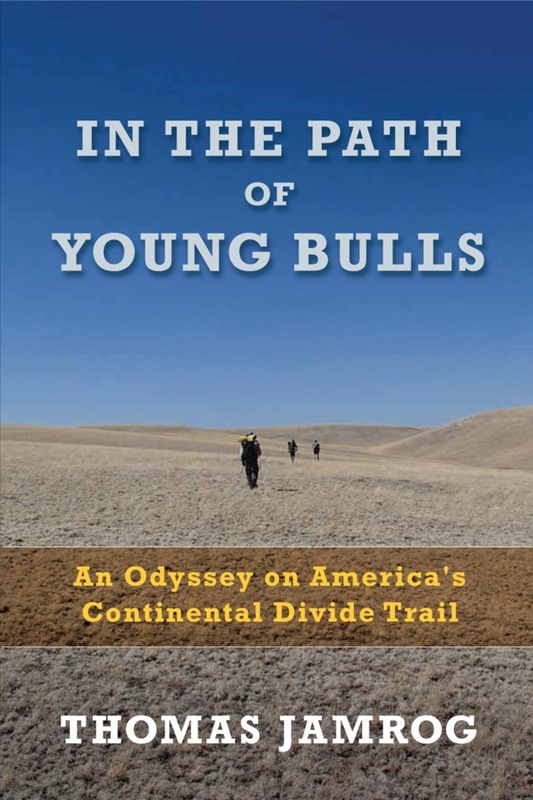 On the positive side, it was painless to do the fords with bare feet, even including the short walk along the trail that was on land that connected the two. #2- This is moose country. Walking through the alder patches in an area known as New City, Gaspedal, who was walking point, turned silently gave us a hand signal. One second later, a bull moose with full rack of antlers crashed off into the brush. This was the first moose that either of my two traveling partners had ever seen in the wild. I’m a Licensed Maine Guide who is guiding these two folks from Boston through their first visit to Baxter. Last year I guided these two repeat customer plus one more though the north 50 miles of Maine’s Hundred Mile Wilderness. 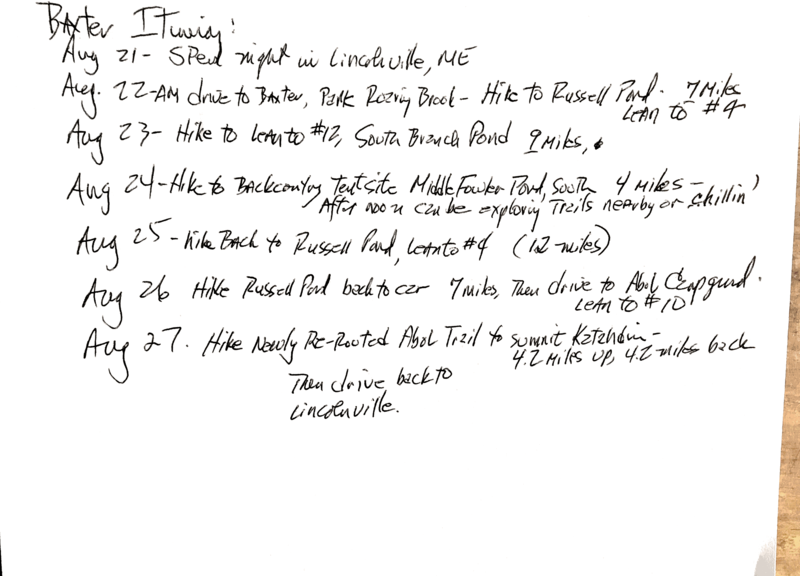 Our walking itinerary here is less demanding than out on the Appalachian Trail, but our trek up to 5,267 foot high Katahdin on our last day should test the tendons. If I make it, it will be my twentieth summit of Maine’s best shot at reaching the heavens. Awoke this morning at 5 am to the sweet sound of rain falling outside my bedroom window. Heading up today for the first of two backpacking trips that I am guiding to northern Maine. The rain should be done sometime this afternoon and bright weather should follow. We’ll prepare this morning by lining our packs with large waterproof plastic bags that will hold our supplies for the week. Then pack covers will be slid over the whole units, with raincoats or ponchos covering the packs themselves. I’m particularly excited about our last day, where we plan to take the newly re-routed Abol Trail to the top of Katahdin. Abol was just reopened on July 1. It has been closed for the past two years, in order to reroute upper reaches of the trail, which was unsafe, due to large unstable boulders and rocks in the slide scar that was part of the old trail. The Abol Trail was the first trail I ever walked up and down Katahdin, 46 years ago, on a week long adventure with Kevin Weir. If all goes well, it will be my 20th summit of Katahdin. Stay tuned for blog posts and photos from a very special natural sanctuary that has truly captured my interest and unabiding focus for most of my life. “The graying of The Bubbas,” is real. Nate said it. It was humid and the roots were just a bit slimy and slick, but it wasn’t a problem for nineteen Bubbas in The Woods this past Sunday morning. We broke some kind of record for attendance today with the help of additional folks like 73 year old Rhode Island Bruce pushing us along. Our special guest today was Carol, who came up Massachusetts up to Midcoast Maine to “ride Bubba” again. And here’s Carol herself, front and center as we celebrate her riding with us today. Carol, front and center ! We’ve been at if for decades, and with the advent of modern bike technology, there’s hardly a frame breaking all season. It’s even a rare event to even have “a mechanical” anymore. Maybe a broken chain, or a flat, but that is about it. We ride out of habit. We ride to rack up those Strava PR’s (Personal Records). We ride to commiserate on the climbs. We ride to get our weight down. We ride to sip beers tailgating in the parking lots. We ride to be with other riders. I’m riding still because I can. 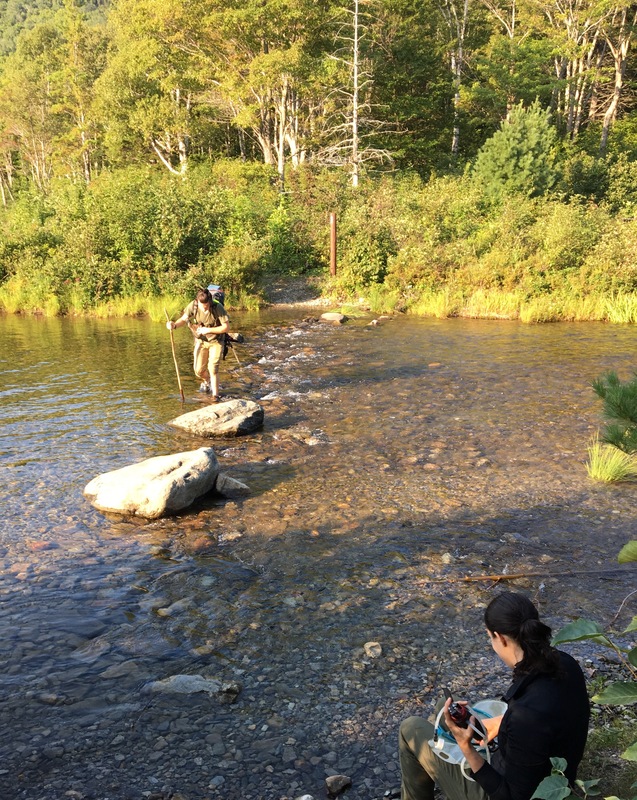 Join our exploration of the central and northeast sections of Baxter State Park before ascending the newly rerouted Abol Trail leading to Katahdin’s summit. 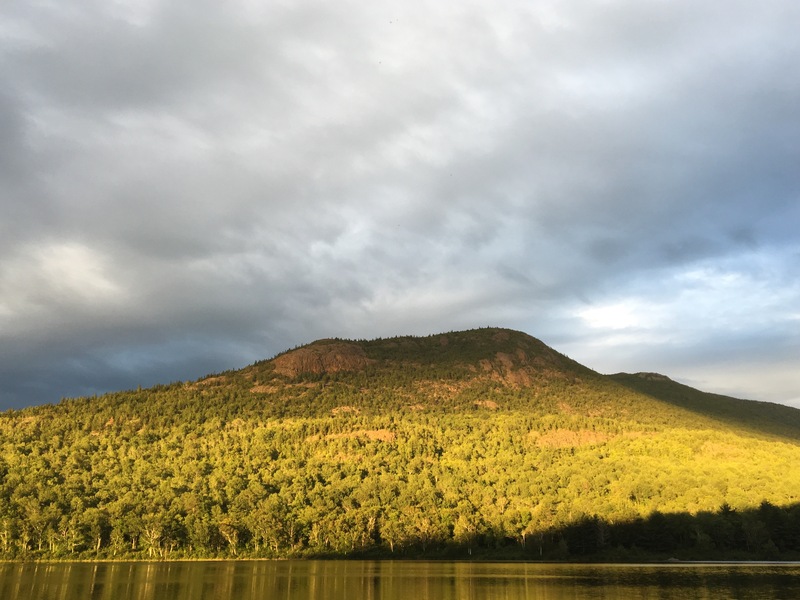 Itinerary: On Day 1, after leaving our van at Roaring Brook Campround, we’ll hike 7.5 miles north through a valley to spend the first night at a lean-to on the shore of Russell Pond (Campground). Our second day finds us hiking 10 miles further north to an isolated lean-to on South Branch Pond that we’ll access via canoe. Day three will be a shorter hike where we’ll tent at Middle Fowler Pond, where there will be time to relax or explore one of Baxter’s least-visited regions. Retracing our steps on day four, we’ll return to our lean-to on Russell Pond. On day 5, we’ll walk back to our van and move to Abol Campground where we will spend the last night in a lean-to. On our final day, we’ll summit Katahdin (5,267 feet) weather permitting), via the historic Abol Trail which has been partially rerouted and has just reopened as of this July. It is difficult to get a reservation to ascend Katahdin in the summer. 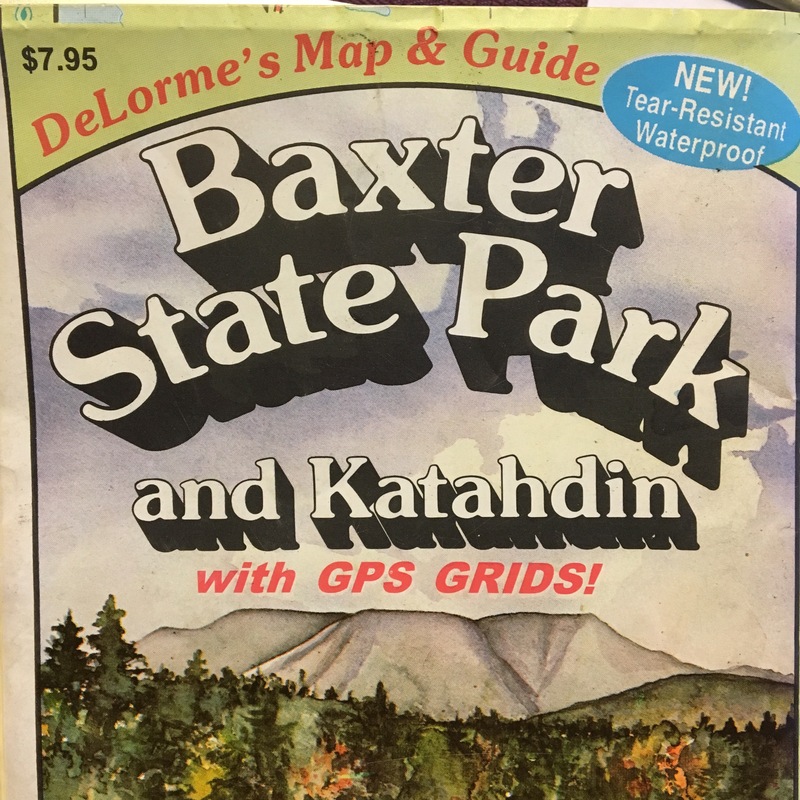 This is a rare chance to explore some of the lesser known parts of Baxter as well as to summit Katahdin on the trail traversed by Thoreau in 1846. National Geographic includes Katahdin as one of the top ten summit hikes in the world. The trip starts and ends in Lincolnville, ME. Transportation to and from Baxter State Park, as well as entrance and campground fees are included in the price. A list of recommended personal gear will be provided upon registration. Price: $500: Equipment rental is available. 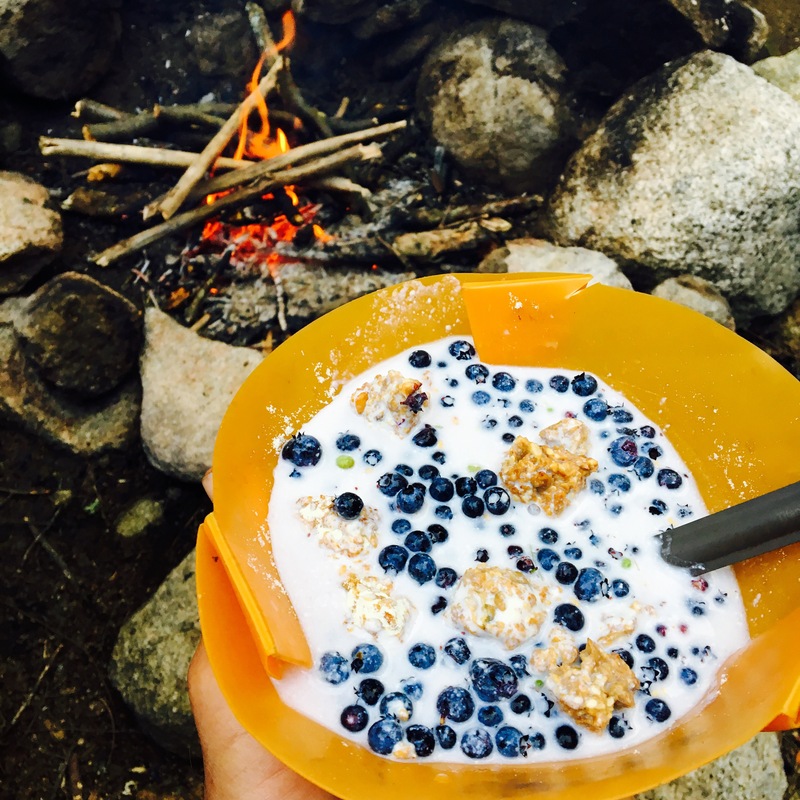 Hikers provide their own food. Meals can be prepared and provided for additional charge. Reservations: Call 207-763-3406 or email thomasjamrog@me.com for questions or to secure reservation. I prefer to ride my fat tire bike right now, leaving my full suspension 29″ Santa Cruz Tallboy and my converted Diamondback Apex “road” bike in the garage. Why? Because each and every bike has a personality and a bike’s personality speaks to the rider in a special language. Do read Rebecca Rusch’s one page submission from Dirt Rag #189, just like I did this fine Maine morning. While Rush’s article reflects her impressions of riding on snow, it captures the essence of moving through the wooded trails here in Midcoast Maine, anytime of year. There a bit more calmness to “riding fat”, as The Bubbas call it. For me, at my age and stage of life, riding on 5 inch wide tires sporting 5 pounds of pressure at 5 mph is fine. I’m riding difficult trail sections that were impossible for me to clear on 2″ tires. I don’t steer and aim so much when riding fat. I let the bike slide and hop a bit until it finds it’s own line. It’s intuitive rather than calculated. 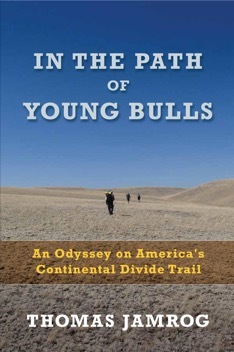 These same trails are seen differently. I like to notice that. It’s been hot and humid here, since I have returned from hiking the Portugese Camino this June. It’s still cool out here at 6:45 AM on this fine summer day, and I’m free to enjoy it right now. I’m heading out the door to swing my leg over my Surly Ice Cream Truck right now : out the door, over the hay fields, rocky streams, and onto the snowmobile trails that I keep open to ride up and around Moody Mountain. I’m happy to be riding fat again this morning.